Star sprinter Santa Ana Lane is on track for his first overseas appearance in the Chairman's Sprint Prize in Hong Kong but will need a new jockey with Mark Zahra suspended. 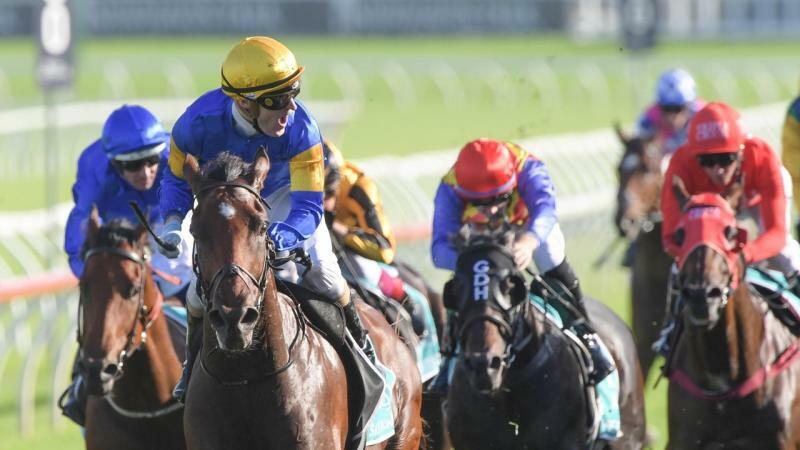 The Anthony Freedman-trained gelding claimed his fifth Group One win when he dominated a field of Australia's top sprinters in the $2.5 million TJ Smith Stakes (1200m) at Randwick eight days ago. The Chairman's Sprint Prize is on April 28 with a decision yet to be made whether Santa Ana Lane continues his travels to take in the Royal Ascot meeting in June. "He is booked to fly on Monday week to Hong Kong. "And then they've cleared all the quarantine in Hong Kong and in the UK I believe, but it's really just Hong Kong at this stage and then decide if he keeps heading north." Fellow Australian sprinter Viddora is already in Hong Kong in preparation for the Chairman's Sprint Prize. "I don't want to jeopardise The Everest," Freedman said. "And if it was the UK, I'm thinking it would only be for one race. "Because if you wait that extra three or four weeks you're eating into time we need back here." TAB Fixed Odds has Santa Ana Lane as the $5 favourite in its futures market for this year's $14 million Everest in Sydney in October. Santa Ana Lane was beaten on a heavy track in last year's Everest at Randwick having won the Premiere Stakes at the same track two weeks earlier.